It is the entrance to an alleyway that must not be more than ten cubits, not the width of the alleyway itself. And the reason is because a bigger entrance is considered to be a breach and not an entrance and so a crossbeam cannot be used. Thus a crossbeam on the diagonal cannot be more than ten cubits since the crossbeam is placed above the entrance and so would make the entrance more than ten. And since the entrance to an alleyway must not be more than ten cubits this implies that the width of an alleyway itself is usually much wider than ten. Thus an alleyway which has a width of less than ten cubits would be unusually narrow, as Rashi explains. "And since the entrance to an alleyway must not be more than ten cubits this implies that the width of an alleyway itself is usually much wider than ten." I'm not sure what the basis for such an assumption is. The standard alleyway didn't have an entrance. The entrance was a halachic necessity to change the status of the alleyway. But even if that were true, it is certainly not what we are dealing with here. If we were dealing with an alleyway with a special entranceway, there would be no disucssion. 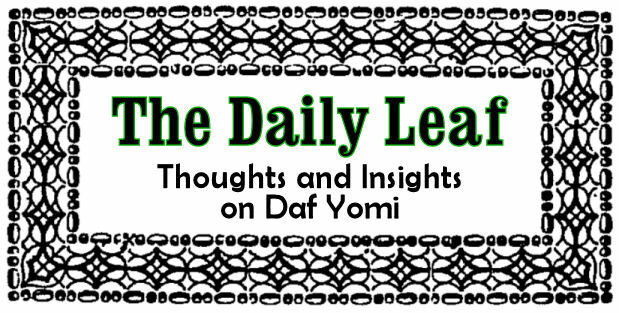 We wouldn't need a קורה if we already a צורת הפתח. Clearly we are dealing with a conventional alleyway. Before we brought up the length of the diagonal we were already dealing with an alleyway that was no more than 10 אמות wide. 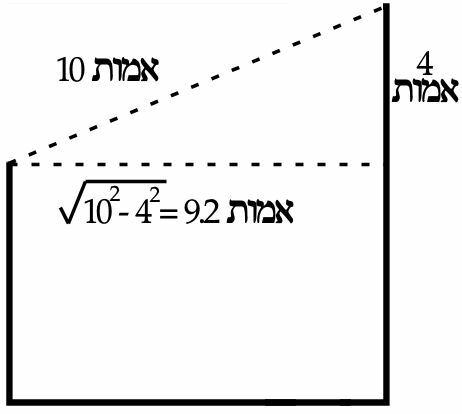 So now that we seek to define the diagonal as less than 10, we need only reduce the width by less than an אמה. So רש"י remains difficult to understand.